LLimbus is an attractive and particularly noble Landgraf I son. Also on the dam’s side influenced by the TB sires Rantzau and Marlon and due to the great amount of TB blood elements, he is an interesting option to achieve refi nement. He stood at the well-known Pageroe stallion station upon the river Schlei during his fi rst covering season. In 1995 and 1996, Limbus was stationed at Gestüt Dobel in Baden-Württemberg before returning to Holstein in 1997. Seeing that he jumped with good technique and lots of ability, he was sent to Bo Kristoffersen to be produced for show jumping. The pair not only won many young jumper classes and qualified for the Bundeschampionat at a score of 9.0, but they also succeeded in jumper classes to S level. At 8 years, Limbus placed 3rd in the Rostock Grand Prix. In 1999, an injury set a premature end to Limbus’ competition career and he has been a highly successful breeding stallion since. So far, he has eleven licensed sons: Love Soprem in Saxony-Anhalt, Limbus Junior in Saxony-Thuringia, Lancome, Let’s Dance and Libatador with the ZfdP, and in Holstein Leonce, Ladas, Limotas and Livello, as well as two premium graded sons at the 2006 Neumünster licensing, Lenitas and Lejano. 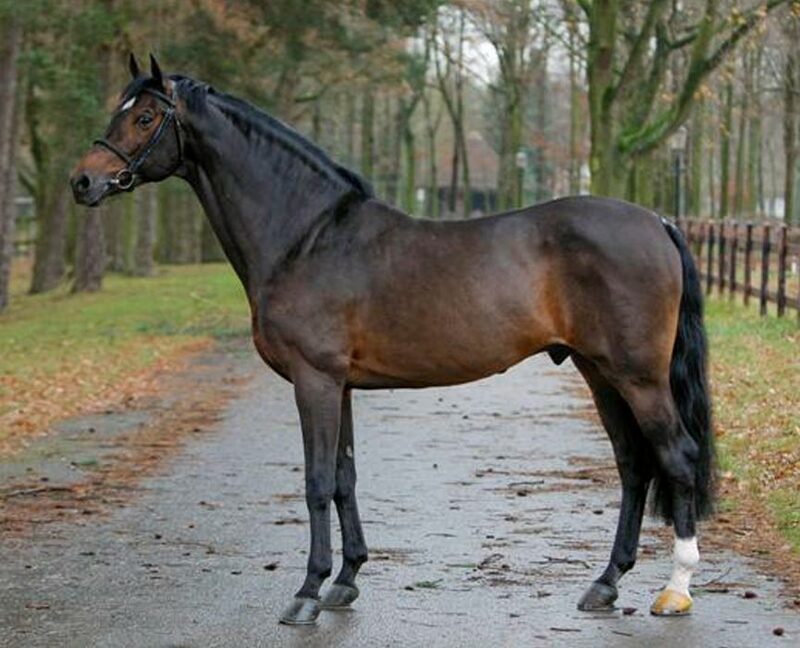 Lejano, the 2006 reserve champion stallion, was sold to France through the auction at 250.000 euros. Limbus has also made a name for himself through his daughters. Pelagia became the Dithmarschen champion mare in 2003. Moreover, the 2004 champion stallion Canto is out of a Limbus dam. sire. His internationally important offspring includes Linos (Alois Pollmann-Schweckhorst), Look At Me (Fabio Crotta), Büttners Lektiko with Markus Renzel and Mouse, currently one of the world’s must successful jumping horses under the saddle of Daniel Deußer. At the Lanaken world young horse championships in 2009, a young Limbus offspring attracted attention: After an exciting jump-off, Lamarque became the world 7-year-old champion with Karl Brocks. The following year, the pair already achieved international successes to S***level. Liconto del Pierre, born in 2004, is another interesting Limbus offspring with high placings at international S** level under his rider Lars Bak Andersen. In 2013, three Limbus offspring, Limbothello, Lint, and Lissino, have been licensed for breeding at Neumünster.